This chapter reports case study research that investigated teachers' use of media and technology in a seventh grade media literacy class. The purpose of this study was to learn what media and technology were used in teaching practice and how they were used. Findings identify media literacy education as a subject of study and way of teaching that provides an entryway for information and communication technologies (ICTs) to be actively incorporated into school curricula and multimodal learning. Media and technology in this case were integrated through constructivist teaching of media literacy education that supported twenty-first century skills, including critical analysis and evaluation of texts in all forms and communication through project-based media production. However, the results also revealed challenges at both local and national levels that influenced the integration of media and technology into teaching and learning. Literacy in American schooling efforts traditionally refers to the ability to read and write print text. However, in the information economy of the twenty-first century, texts are no longer bound to the printed page. Those seeking information, entertainment, and ideas have access to an abundance of multimodal texts and information communication technologies (ICTs), including not only traditional print texts (e.g., books, magazines, newspapers) but also nonprint texts that employ blended visual, auditory, and multimedia forms (e.g., television, movies, music, video games, advertising, web-based content, networked digital media). The rapid pace at which media and technology are developing and increased availability of a range of devices provides people of all ages with constant access to countless digital media messages and transmedia. Although PreK-12 schools seek to provide current and up-to-date opportunities for students and teachers to access tools and media, unprecedented technological development presents an on-going challenge for classroom teachers, principals, administrators, and other educational professionals. Teachers in particular struggle to not only learn how to use emerging tools, but also how to integrate them effectively for improved teaching and learning outcomes. To meet these challenges, some teachers have started integrating media literacy education (MLE) in their classrooms and school districts (Considine, 2000; Hobbs, 2010). Media literacy is an augmented definition of traditional literacy that extends knowledge and skill competencies from reading and writing of print texts to include reading and writing of texts in all forms (Tyner, 1998). Media literacy education (MLE) fosters the development of twenty-first century skills, including the abilities to access, navigate, verify, evaluate, and create information in a variety of multimedia and digital forms. Additionally, media literacy education provides opportunities for teachers to connect standards-based curricula in schools with the digital media and technology students use daily outside of the classroom, establishing important connections between youth and school. While some existing research has examined media literacy as part of PreK-12 curricula (Kist, 2005; Hobbs, 2007; De Abreu, 2008) and as part of video production programs (Goodman, 2003; Share, 2002), there is need for studies that focus specifically on how media and technology are used in teachers’ media literacy practice. In this chapter, I report research that examined how media and technology were used in teachers’ practice at the middle school level. In my research, I concentrated not only on what technologies and media were used, but also on how they were integrated into teaching and learning lessons, activities, and assessments. 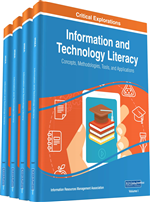 This distinction between use and integration uncovered fundamental aspects of pedagogy that facilitated the incorporation of media and technology into lessons that supported twenty-first century skills and bolstered student engagement.